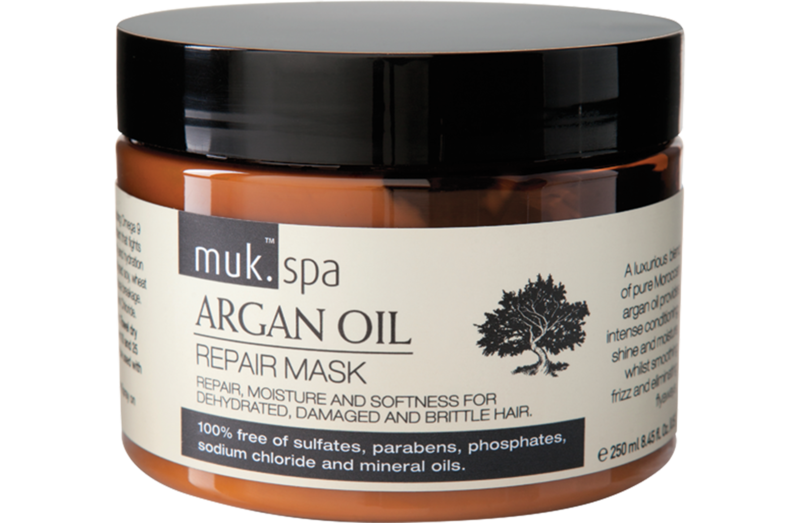 100% free of sulfates, parabens, silicone oil, alcohol, phosphates and mineral oil. 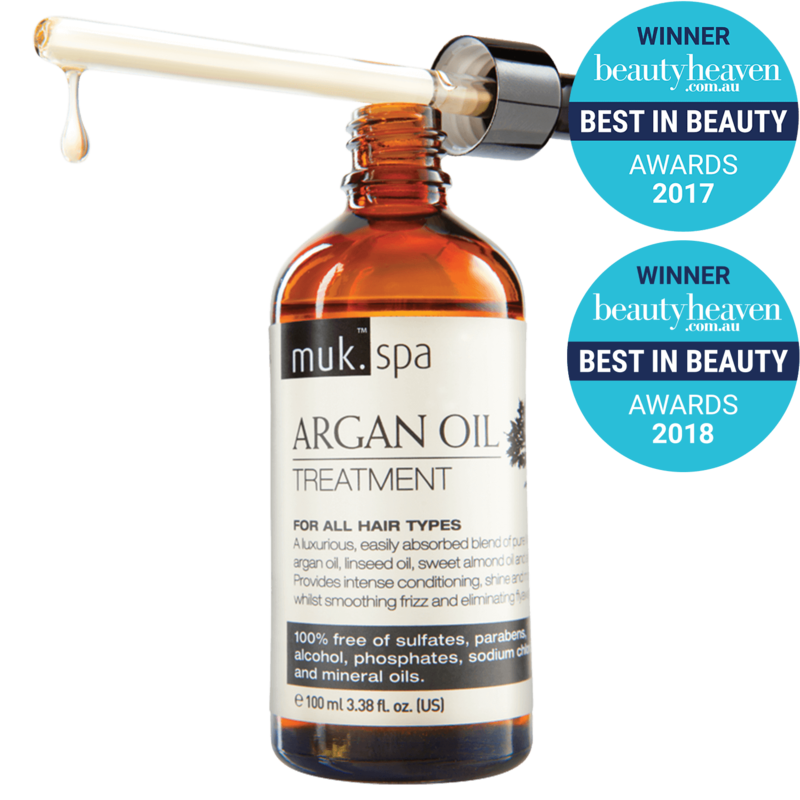 Rich in essential fatty acids including Omega 9 and Omega 6, muk™ spa Argan Oil Repair Shampoo is exceptionally high in Vitamin E, a powerful anti-oxidant that fights free radicals and maintains hair strength, elasticity and hydration levels. Protein and moisture balanced. Enriched with hydrolyzed soy, wheat and corn proteins, to dramatically increase the hair’s tensile strength and reduce breakage. Colour safe formula and suitable for all hair types.